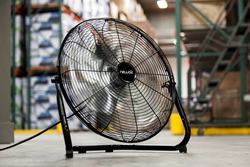 NewAir has launched two new industrial-grade fans designed with business and homeowners in mind. The NewAir WindPro18F floor and WindPro18W wall models are built to exacting specifications that are common in warehouses and industrial workplaces but that are harder for small business owners and average users to find for an affordable price. "We know that sometimes people need more power than a traditional box fan can provide. 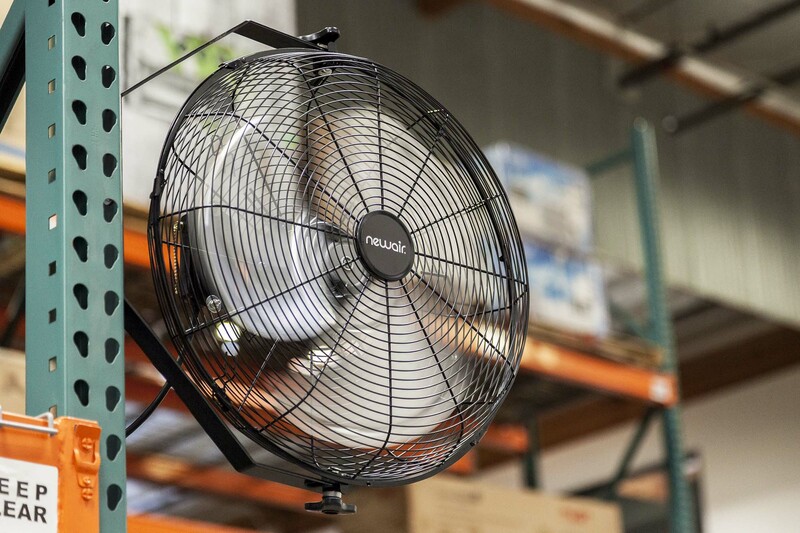 Our industrial-grade construction makes these new fans perfect for use in garages, workshops and outbuildings," explains Andrew Stephenson, Director of Product Marketing at NewAir. Available in both floor and wall-mounted models, the new WindPro fan features a dual ball bearing motor instead of the more common sleeve motor. Sleeve motors can overheat and therefore have a shorter life span than ball bearing motors, a key reason NewAir chose to upgrade the motor in their design. "The bearing motor also makes our fans quieter and more durable than similar fans in their class," Stephenson says. The WindPro 18W also features a fully sealed motor housing for extra protection in dusty work environments. Both fans have a blade guard designed to keep fingers away from fast-moving metal blades. Andrew Stephenson is quick to point out that the NewAir WindPro fans don’t just look tough. They also pack a punch, with 3,000 CFMs of power. "That’s enough wind speed to blow out a candle that’s standing 51 feet away from the fan," Stephenson said. "We’re really excited to bring that much power and durability to the market, making it perfect for not only workshops, garages and tradespeople, but for home applications as well." California-based NewAir Appliances is a family-owned manufacturer and distributor of luxury compact home appliances, including everything from beverage coolers to portable laundry solutions. Their wide range of products is carried by the largest retailers in North America, and NewAir is dedicated to exceptional customer service at their responsive in-house call center. NewAir's focus on value and quality over the past 15 years make them one of the most trusted names in home appliances. See all of their products at http://www.newair.com.